It feels like a broken record at this point. December was simply a terrible month for most hedge funds, and we have yet another data set to prove it—as if we really needed it. It’s clear at this point that momentum stocks haven’t given up the ghost just yet—even though it seemed like 2018 might finally bring sweeping changes to the stock market’s dominant factors. This is evidenced even today by steep rallies in the FANG names (FB, AMZN, NFLX, GOOGL). 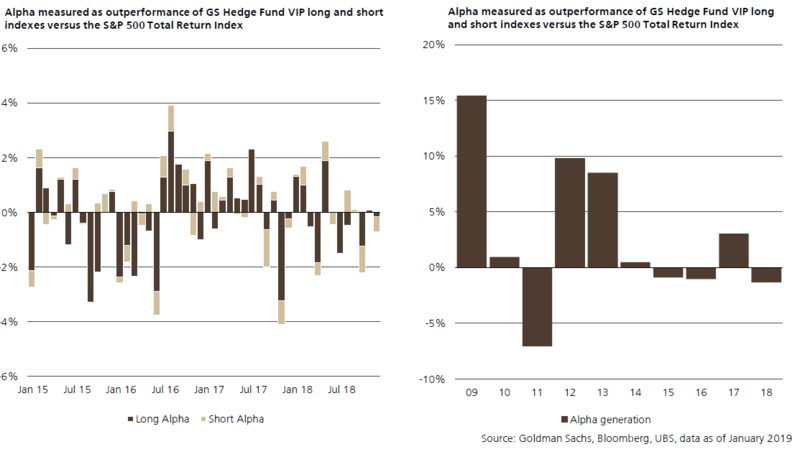 In a report this week, UBS noted that alpha was especially weak last month as measured two different ways against the S&P Total Return Index. Longs especially had a difficult time as December was the worst month for many major stock indices, including the S&P 500 and the Dow Jones Industrial Average. In fact, last month was the worst December for the Dow since the Great Depression, according to Eurekahedge. 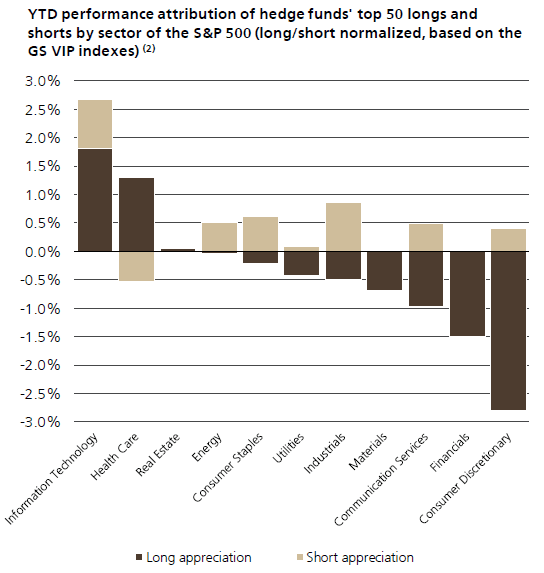 As would be expected in a bad month for equities, shorts did better. The last few years have been a virtual game of tug-o-war between growth and value, and it looked briefly like the tides were turning in 2018. However, the end of the year ended up being brutal for both factors. Corsair Capital pointed this out in their recent letter to investors. The fund had expected growth to finally sell off and reduce the extreme imbalance which has developed between them in the last couple years. That didn’t happen though, as both growth and value sold off. UBS also pointed out that both growth and value were “sharply down” last month, but growth still outperformed value. Hedge funds did manage to find some gains in momentum though, which may bring a bit of déjà vu. 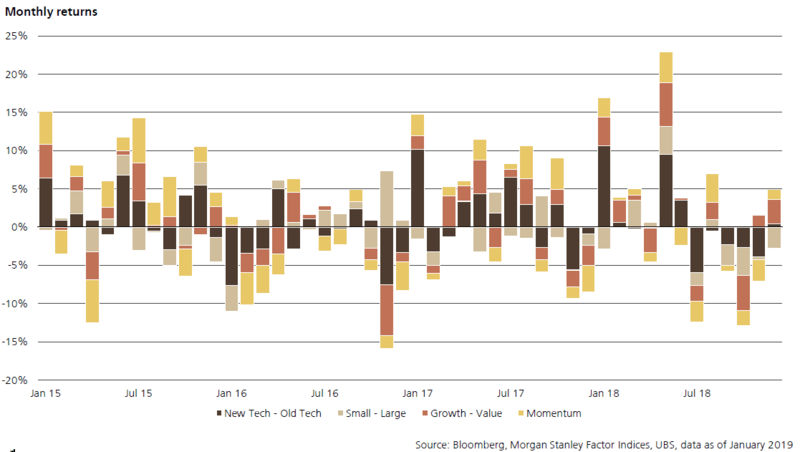 Last year data also started to suggest that hedge funds were beginning to give up on tech stocks, or at least, a small segment of them were. Corsair was one of them, and several other hedge funds also wrote about the sector in their quarterly letters throughout 2018. According to UBS, longs in the financials, energy and information technology sectors took a major hit last month. 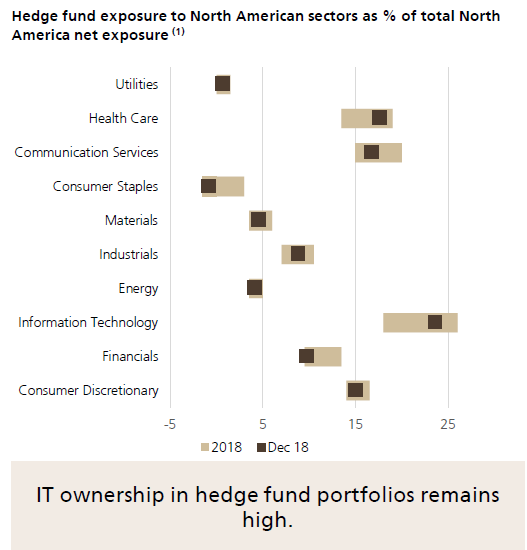 Based on positioning, hedge funds with North American exposure are underweight the financials and energy sectors, while they remain overweight on information technology. Hedge fund positioning in healthcare started to shift higher in December, which makes sense given that healthcare was one of only two sectors which contributed significantly to hedge fund returns on the long side.